Medications are administered for your child’s comfort during the surgical procedures. The choices include intravenous sedation and general anesthesia. Your doctor will recommend the best choice for your child. 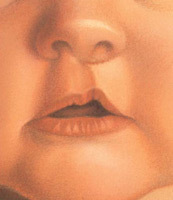 The goal of cleft lip surgery is to close the separation in the lip and to provide a more normal function, structure and appearance to the upper lip. Incisions are made on either side of the cleft to create ﬂaps of tissue that are then drawn together and stitched to close the cleft. The repair of a cleft palate requires careful repositioning of tissue and muscles to close the cleft and rebuild the roof of the mouth. 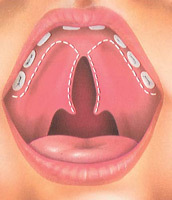 Incisions are made on either side of the cleft and specialized ﬂap techniques are used to reposition muscle and the hard and soft components of the palate. The repair is then stitched closed, generally at the midline of the roof of the mouth, providing enough length of the palate to allow for normal feeding and speech development, and continued growth throughout life. A special note: It is important to understand that while a cleft may be surgically repaired in a single plastic surgery procedure, treating a child born with a cleft continues through adolescence and sometime even adulthood. 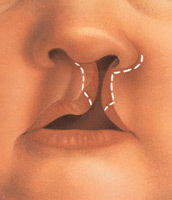 As a child grows, secondary plastic surgery procedures to improve function and appearance may be required.